The fast-pedaling bike-sharing industry in China could be headed for a mega merger, the likes of which hasn’t been seen since the cutthroat price war among car-hailing companies two years ago that created one sector behemoth, Didi Chuxing. 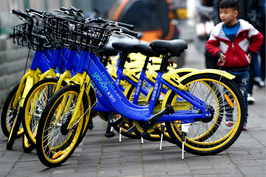 China’s top bike-sharing companies Mobike and Ofo have battled for nearly two years, burning through billions of dollars and forcing into the ditch smaller players who simply couldn’t compete in new fundraising and deep discounts for riders. Now Mobike and Ofo are at a fork in the bike-sharing road: Do they hop on a tandem business model – accepting one company must ride in the front – or continue what has become a two-company race? For some investors who have poured a total of more than $2 billion into the colorful pair, the answer is obvious: Merge to create a dominant industry player. That is what happened in the 2015 merger between Tencent Holding-backed Didi Dache and Alibaba Group Holding-backed Kuaidi Dache. The result was the car-hailing giant Didi Chuxing won its battle against Uber Technologies Inc. and took control of the wheel of 90% of the country’s car-hailing market. Allen Zhu, an early investor in Ofo, said in September that “merger is the only way out” for Mobike and Ofo. That sparked speculation that the companies may be ready to call off their contest and instead opt for a mutually beneficial marriage. Mobike is known for its bright orange bikes and Ofo for its canary yellow two wheelers. Deep-pocketed investors have jumped on each because of their innovative bike-sharing ideas. Riders, after paying a deposit, unlock a bike via a smartphone app and, after they’ve reached their destination, park it essentially anywhere on a sidewalk or other public space. A long list of leading venture-capital and private-equity funds such as Sequoia Capital, Hillhouse and Hony Capital has backed the pair’s costly business expansion and boosted each of their valuations to close to $2.5 billion in about two years. But investors’ patience has become like a tire with a bad leak. 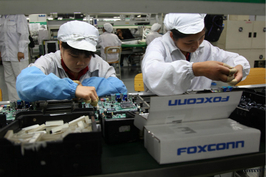 Profits remain a distant target for both companies as the cash-burning goes on, one source close to the two companies said. Indeed, both Mobike and Ofo are under financial pressure to keep spending heavily on new bikes and generous subsidies to attract riders with plenty of choices. An investment-institution source told Caixin that as of Dec. 1, Ofo only had 350 million yuan ($53 million) in cash left, while Mobike had 7 billion yuan. 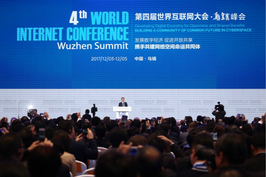 The source, who is familiar with the companies’ financials, said both companies have each spent more than 3 billion yuan from users’ deposit funds – which squishy rules suggest shouldn’t be touched – for outstanding payments to their suppliers. The companies deny they have spent deposit funds. Only six months ago, Mobike raised $600 million from investors led by conglomerate Tencent, whose trophies include the hugely popular Wechat messaging app and the red-hot mobile game Honour of Kings. Ofo announced a $700 million funding round led by e-commerce giant Alibaba. Caixin learned from sources close to the matter that talks about a possible merger started in October. Mobike’s largest shareholder, Tencent, and Ofo’s top investor, Didi, have reached preliminary agreement on a merger plan, in which Didi would end up with greater control of the new company. A market source said a merger of Mobike and Ofo would most benefit Didi, which dominates the car-hailing market with 20 million orders every day. With a Mobike-Ofo merger, Didi could access data from the 40 million orders made by bike riders every day. It would make Didi’s users’ data base equivalent to China’s largest e-commerce site, Alibaba’s Taobao. But both companies’ management teams vehemently rejected the proposal due to concerns about Didi’s control, Caixin has learned. Meanwhile, Alibaba has stepped in to object to a merger led by its archrival Tencent. Alibaba has been trying to get a foothold in the bike-sharing industry after losing ground in the car-hailing market to the partnership of Tencent and Didi. Alibaba has invested in two smaller bike-sharers, Hellobike and Youon Bike. A partnership with Ofo would give Alibaba’s more muscle in the market than Tencent has via Mobike. One of Ofo’s major investors told Caixin that talks about a possible merger skidded off the negotiating road in late November after Alibaba and its affiliated financial arm Ant Financial Group agreed to make new investments into Ofo to ease its capital pressure. It is unclear how much Alibaba will give Ofo. Alibaba invested $100 million into Ofo in June. “The money will be injected in two batches and part of it has been paid,” said the source. Another source close to Alibaba said the e-commerce giant will send managers to participate in Ofo’s management after the capital injection. That could mean a mega merger in the bike-sharing market may not be imminent. But several investors are concerned that a new cash injection will only prolong the price war until one of the rivals goes bust. It was only about two years ago when brightly colored bicycles owned by rising startups Mobike and Ofo started appearing on streets in Beijing and Shanghai to test out their new business ideas. Mobike and Ofo are unlocked and paid for by few taps on mobile phones and can be dropped off anywhere. The orange and yellow bikes clog the sidewalks in cities across China and can also be found in such places as London, Singapore and Seattle. Ofo is operating in more than 10 million bikes in 20 countries while Mobike is in 12 countries with some 8.4 million of dockless, internet-connected bikes, according to company data. More than 40 latecomers rushed into the bike-sharing industry. China’s bike-sharing market has grown from 33 million yuan in the third quarter of 2016 to 3.9 billion yuan in the second quarter of 2017, with more than 100 million riders, market research firm iResearch says. Companies spent furiously to offer better services and larger discounts in a bid to win larger market share. Mobike and Ofo often hold “ride for free” periods — frequently on the same day — and hand out small cash transfers and coupons. Behind generous bike-sharers are venture capitalists who have poured billions of yuan into the fledging market. As of March this year, 11 bike-sharing startups have announced fundraising totaling 6 billion yuan, data from iResearch showed. But none of the companies has made profit from providing the cheap form of transportation. Riders only pay 0.50 to 1 yuan ($0.08-0.15) for every 30 minutes of use. “Bike-sharing companies have had little income but spent heavily on bike purchase and maintenance,” an industry investor said. Both Ofo and Mobike have built up massive piles of outstanding bills owed to suppliers. Most of the money raised from new funding rounds has been used to pay the arrears, the source said. The market-share battle has caused several bike-sharing startups, including Bluegogo and smaller Wukong, to call it quits, after investors pulled back from further capital support. How can cheap rides turn into profits? Finding new headroom for growth is challenging for Mobike and Ofo as major cities have approached saturation levels and city authorities have tightened regulations due to complaints about bikes blocking city sidewalks. As of Sept. 15, 13 cities, including Beijing, Shanghai and Guangzhou, have banned additional shared bikes being put on their streets. Mobike and Ofo have announced ambitious plans to expand overseas. In late November, Ofo announced plans to put 150,000 of its bikes on London's streets, shortly after Mobike debuted in the British capital. But several investors in Mobike and Ofo told Caixin that the overseas expansion is more about building brand than creating a sustainable business due to higher operating costs. While some financial investors see a Mobike-Ofo merger as a way to survive through a market monopoly, others see the jackpot coming from elsewhere – data collected on riders’ payment and commute habits. Kaifu Lee, chief executive of Sinovation Ventures, said China’s bike-sharing sector generates about 300 times more data than that of similar businesses in the U.S.
That may explain Alibaba and Tencent’s deep interest in Mobike and Ofo, though yet to be figured out is how to fully tap the bike-sharing data for profit and integrate them into broader internet business strategy. A sword of Damocles is also hanging over bike-sharing companies: When users first sign up to use one of the brands of shared bikes, they must pay a one-time deposit, which ranges from 99 yuan to 299 yuan. The amount of deposit funds that companies have collected is huge given the large number of riders who have signed up. Data from iResearch showed that as of May, Ofo had 63 million monthly active users while Mobike had 58 million. But the legal requirements are murky over how bike-share companies should handle their deposit funds. An industry regulation jointly issued by several central government ministries in August said deposits should be put in special bank accounts and managed separately, without elaborating on how this would be enforced or what kind of punishments would be handed out. But the regulation appears weak in practice. Industry sources said it is an open secret that companies have used the deposits for business operations or debt payments, a claim most companies deny. Mobike puts its deposits in a special account in the China Merchant Bank, while Ofo said its fund is saved in CITIC Bank, according to company documents. 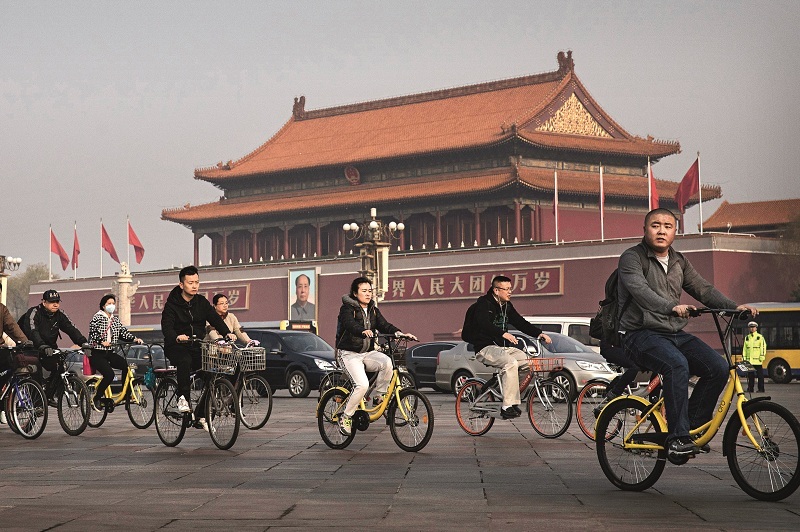 Several bike-sharing industry investors told Caixin that as bike-sharing services expand and regulatory oversight tightens, it is inevitable that companies will stop charging users deposits. If that happens, it is unclear how the bike-sharing model will become profitable with a charge of just one yuan per ride.